Jesus’ famous command to his disciples was to ‘go into all the world and preach the gospel’. By going on a mission trip, you are fulfilling the greatest challenge of all time. You are carrying the message of Christ to the nations, giving the gospel to those that need it. Be encouraged, you’re following in the footsteps of the early disciples, mighty historic missionaries and many others who have said yes to the call of God. In a marketplace in Bo, Sierra Leone, in 2006, a young man approached me and asked: “What can I do to be saved?” It was a question you’d expect to find in the book of Acts, yet here I was leading someone to Christ in the middle of the street. Then there was the deaf boy at the crusade, who was instantly healed, or the crippled woman, who ran across the field after prayer, not forgetting the countless number of children we’ve been able to feed, clothe and educate. There really is no greater privilege than seeing someone’s life completely changed by the gospel of Jesus Christ. 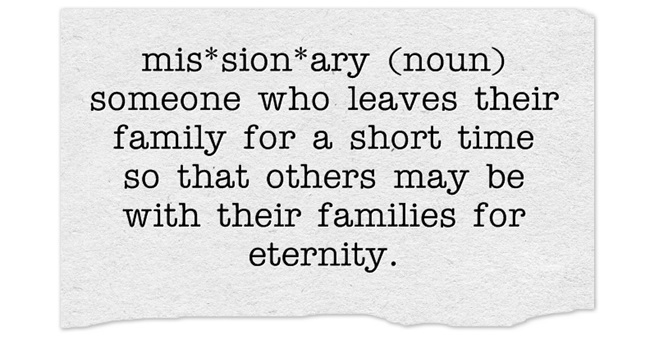 Although the primary aim of a mission trip is to help others, get ready for your life to be changed also. As you bless those in need, give to the poor and share what you have, you’ll feel extremely fulfilled and realise the true joy of serving Jesus. It’s far better to give than receive, so get ready for your life to be radically changed as much as anyone you might be helping. Anyone who has been on a mission trip will know exactly what I’m talking about. Sorry girls, your hair will be a mess, you’ll smell of sweat and you don’t want to even think about wearing make-up. Don’t try and fight it, there’s nothing that can be done. It’s a simple fact – you WILL look ugly for a week. And don’t worry about trying to impress the guys. I fell in love with my wife Becky on a mission trip, despite her curly hair and dodgy clothes. Don’t worry about it! I know it’s a cliche, but you’ll probably encounter a level of spirituality on the mission field that you might not be used to back home. In Africa, we’ve had two dead bodies brought into our meetings, and another time we were on the way to a radio interview and a dead body was in the middle of the road. Then there was the time Hindus threatened to kill us in India and arrived at our crusade with knives. It’s a tough place, so come prepared. Pray, fast and get around encouraging Christians before your trip. You’ll be thankful once you get there. In the weeks ensuing a mission trip, it’s not unusual to face demonic attack, temptation to sin and even depression. I’ve seen people turn their back on God, marriages torn apart and solid Christians storm out of church immediately after a mission trip. The devil hates active Christians, and he’ll do all he can to try and ruin your experience, causing you to doubt what happened and bringing division and destruction to your life. Be on your guard, watch and pray and thank God for the wonderful experience he’s allowed you to be a part of. If this blog hasn’t talked you out of it, why not considering joining One By One on a mission trip? Becky and I take several teams a year to our children’s home and school in Kenya. You’ll have the opportunity to spend time with our children, playing games and teaching classes, evangelising in local villages, praying for the sick, ministering in churches and visiting prisons. If you’re interested, e-mail becky@onebyone.net and we’ll send you some information.